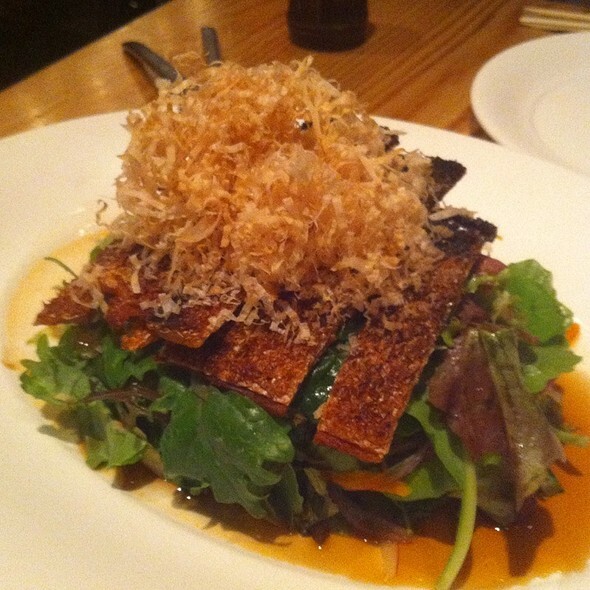 You must make reservations at least 5 minutes in advance of the time at Nobu Honolulu. Valet for $7 and Self Parking available at Ward Village. World renowned for its award winning "New Style" Japanese cuisine, Nobu continues to offer savvy diners across the globe a culinary adventure. Nobu Honolulu is yet another canvas for Chef Nobu Matsuhisa to display his legendary dishes, such as the Black Cod Miso and Yellowtail Sashimi with Jalapeño. The Studio PCH designed restaurant, is nestled in the perennially hip and centrally located Waiea Tower. Nobu Honolulu stays true to the Nobu brand featuring décor to create an intimate and elegant atmosphere. Great service and exceptional food. Pricey but depending on your budget worth it. I especially liked that the restaurant staff notified the valet when we were leaving the restaurant , without being asked, and our car was waiting for us when we left. I think it is a little over priced but the happy hour drinks and nibbles are a great idea for pre dinner dining or just wanting to experience Nobu without a full dining experience. Staff are well trained and friendly but buzzing around, gives you the feeling to eat quickly and you get served by any passing waiter. I’d rather have 1 or 2 waiter who attended to my table. The design is fitting to Hawaii and signature Nobu style. Went for my boyfriends birthday and it was great. Great food, drinks and ambiance. Great for a romantic date night or special occasions. If you want to be in an out in a hurry, this place is for you. However, if like us, you wanted to relax and enjoy each course/meal as well as your company then I would not suggest this venue. I have dined at other Nobu restaurants internationally and do not believe this one is to par. Perhaps this could be called Nobu Express? I am not one to leave a negative review. I rather praise a venue, however I would like to have been told this myself prior to booking. This place is not cheap, but the service would be more suited to the likes of cheaper chain restaurants in Hawaii. I actually think I have had better at the Cheese Cake factory. We were rushed to order, all out dishes came out all at once, (yes they were delicious and the Black Cod is a signature dish you absolutely have to order if you do go) rather than course by course or a dish or two at a time, and so we were felt rushed through from the moment we got there. Got dishes had to be consumed quickly so as to not go cold. The food that did come out was slightly incorrect from the order (sushi when we requested sashimi) but we didn’t bother mentioning it as we already felt quite swarmed. Our conversation interrupted several times, and the bill delivered before being asked for and attempted to be collected before even having the chance to look. Just to name a few little things that collectively made it feel like we needed to be in an out in the hour. All in all, it did but have the charm or polish of the Nobu experience I have come to know and enjoy of previous visits to other Nobu restaurants. It will still be one of the better on the island, but comparatively, to the other Nobu restaurants, I would say it isn’t the best I’ve been to. Would I go back on my next visit to the island? No. I am glad I have been but would not return. Could eat here every night, food and drinks were some of the best I’ve ever experienced. The staff was amazing and really cater to their clients. Well worth the value! Recommend the YellowTail cold dish when you come here. This is our favorite Nobu’s. Always impeccable service. Uniquely flavored entree’s. Waiter was very helpful in pairing the dishes with each other to make the most of the symbiotic flavors of one dish to another. Excellent in every way - very attentive staff and magnificent food. We will be back for sure! Another masterpiece and they do it with some new people on the floor and a brand new head chef. Nobu doesn’t miss a beat. It’s a smoothly run ship that produces some of the most creative dishes anywhere. My wife and I lived in NYC before moving to Hawaii. We’ve been to both Nobu’s there and Nobu Honolulu is by far the best. Their new head chef is a charmer. She has the true Aloha Spirit and loves to spend time on the floor visiting the customers. We felt privileged being able to meet her. She happens to be a local Hawaiian. Of course the food must be the high point and it surely is. Make sure to try any of the specials. 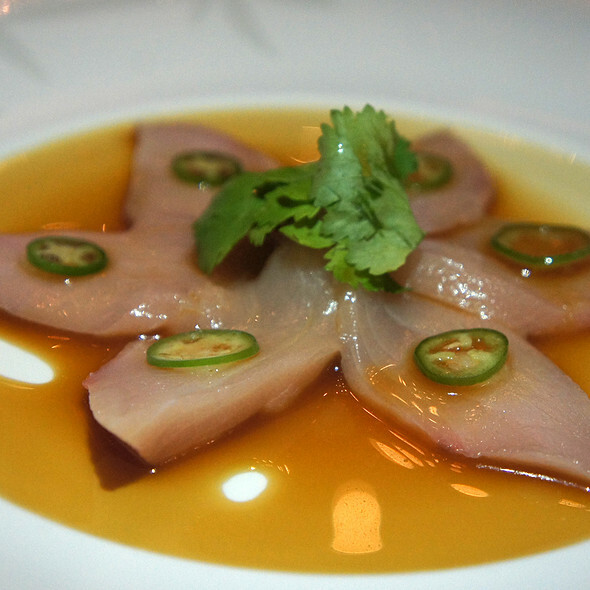 We had a yellowtail hamachi that was possibly the best of its genre on Oahu. Try the following: Big Island Hearts of Palm with Jalapeno Dressing ,Whitefish, Grapefruit Mezcal Ponzu, Jalapeño Hamachi(Special), spicy tuna with crispy rice, uni taco and soft shell crab roll. It’s also a pleasure finding a restaurant where you never have to ask for a new set of plates. Service was slow, both for the initial order and the ability to re-order entrees without an extended wait. Felt that server tried to oversell a couple of items like the king crab legs and the fish tempura over the lobster tempura. Fantastic. My wife is a vegetarian and they made a tofu dish that was off the menu. It was the perfect venue to celebrate our wedding anniversary, the staff were knowledgeable and very attentive and the food was delicious. Will definitely be raving about it to all our friends. Awesome food, fantastic service. The cocktails where sub par for the price however so we switched to wine instead. Everything was expensive but that's ok for the superior food quality, only complaint, why is it so dark inside? I am sure that the dining area is very nice why hide it, the table next to us had to use there flashlights on their phones to read the menus! and I just squinted through mine. Love the environment of the restaurant. The food are overall good and the staffs are very friendly. Old time favorite. Always reliable, creative and delicious. 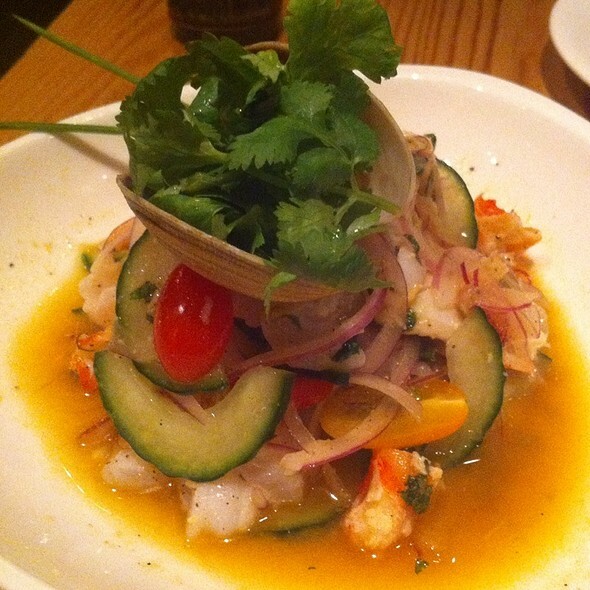 Nobu always delivers with great food, drinks, and ambiance! We had another great experience and loved our first visit to the Honolulu location. The local seafood was fresh and delicious and we enjoyed some of the more regular items like Jalapeño Yellowtail and crispy rice with spicy tuna. 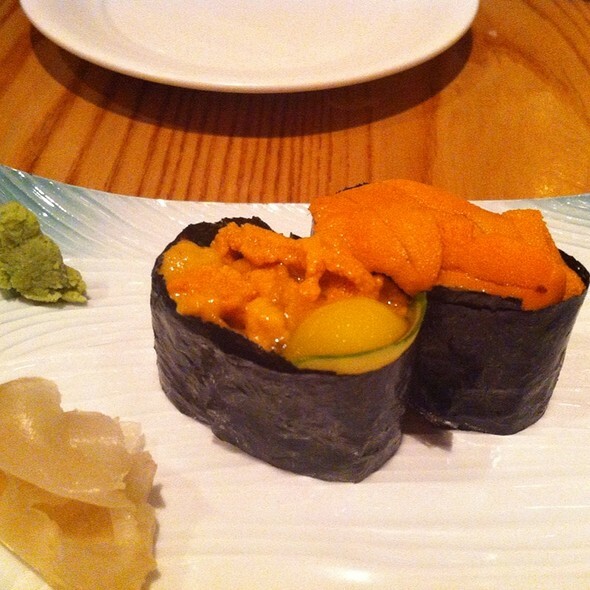 Cant wait to visit more Nobu locations. We had a really great experience. Food was amazing. The Manager, Kenny Lum, did a great job of making us feel at home. He and his Team did a fabulous job on recommending items to us. Nobu is my new favorite restaurant in Honolulu! The food is amazing but just to pricy. I left hungry and went to Whole Foods afterwards. Honestly, the sushi was so fishy. 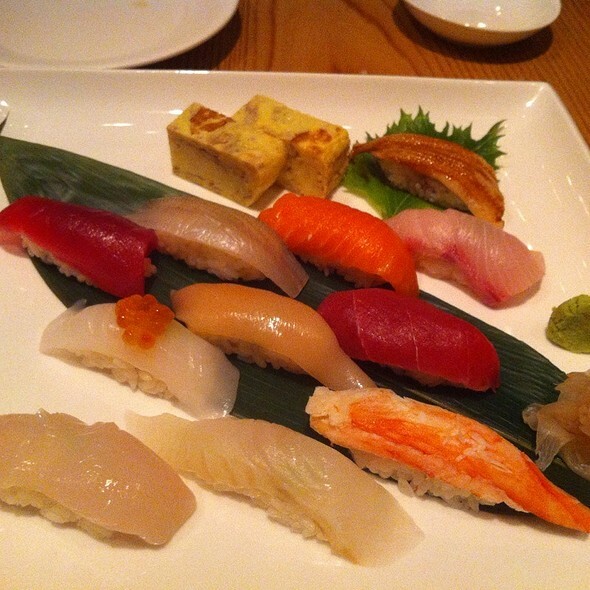 You expect the best of the best with Nobu and it wasn't much different than grocery store sushi. The Banana Gingersnap dessert was amazing, as were the drinks, spicy edamame, rock shrimp, and hearts of palm with jalapeno salsa. The sushi was not worth it. 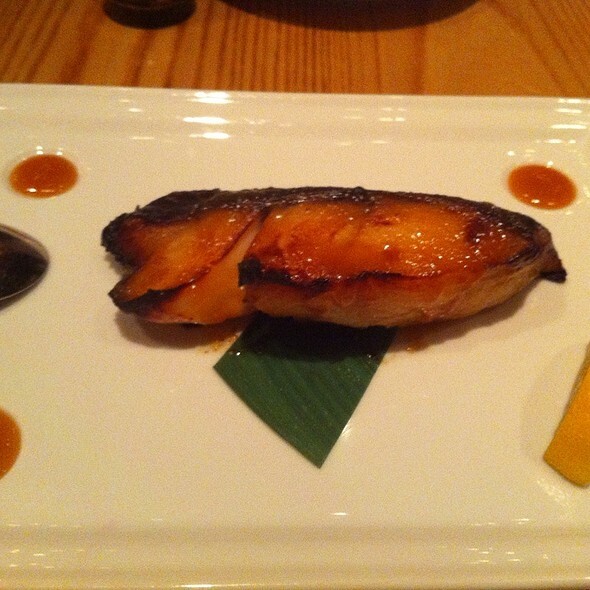 I have visited Nobu three times. I preferred the older, Waikiki location to the new Ward area location. I only visit for the most special occasions and expect to be completely wowed when visiting establishments in this price range. While the new location is indeed beautiful, the ambiance feels a bit inauthentic, or forced. The lighting, while cozy, is a little too dark to carefully review the menu or hold a conversation in a larger group. We had a couple of non-drinkers in our group (one underage and one designated driver), and we had to ask, more than once, for water refills for them. The staff was, of course, polite and accommodating, but some seemed preoccupied and not as attentive as one might expect. 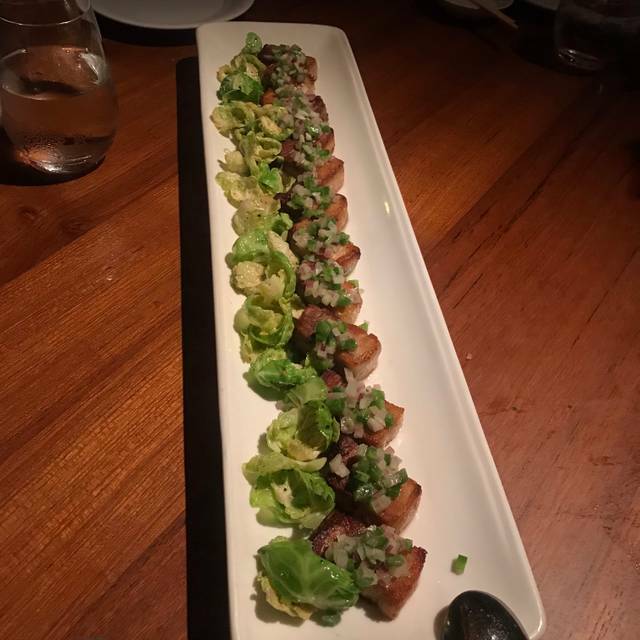 The food was delicious, but not as mind-blowing in either presentation or taste, as I have experienced at Nobu in the past. Perhaps the venue was simply having an "off" night. I still recommend Nobu for anyone celebrating a special occasion. However, if you've experienced the old Waikiki location, be prepared for a bit of a change. Small portions. After our bill was paid, I checked and they charged a drink on our tab that was not ordered. Over price. We were still hungry. The staff is amazing. Our food (tasting menu) was great but my husband was still hungry after we left. Lol. The cocktails are awesome. TJ was outstanding as a sever, as usual. He was always on top of things and made us feel like we had everything we needed even before we knew we needed them. Food is the best in the world, in my opinion. I've now been to 8 different Nobu restaurants around the world, and sadly, the food here does not hold up to some of the other locations. It's not as bad as London, though, that was terrible. But it's a really nice restaurant, and the service was exceptional. The outdoor section is really nice, the bar was lovely, and the cocktails were excellent. The bar alone could have been it's own go to spot. Unfortunately, given the price, I'm not sure I would recommend. Food was great as always, it’s the service I have issue with. This is my second attempt recently to dine at Nobu (first in DC and 2nd in Hawaii) and both times the waiters were not attentive. The price you pay does not equal the service you receive. Loved the food, and the waiter was AMAZING! The ambiance? Not so much. It was our anniversary and we were within a 1/2 arm's reach of people on both sides at 2-top tables. It felt super NOT intimate and we will probably not return. I’ll never go back to this restaurant. Everything is over priced, too dark and too noisy. We visited while in town for our anniversary and did the Honolulu omakase menu. All of the cold courses were amazing, each getting progressively better, but once we got to the hot courses, there seemed to be a drop-off. Some dishes were missing simple things, like salt, others just seemed a little off with flavor combos. Dessert was flat out disappointing. Service was good, but could have been more attentive, had to ask for drinks and water more than I would expect for this kind of restaurant. Also, this will seem super nitpicky, but I could not get over being given one set of disposable wooden chopsticks to use for the entire meal. Generally expected more from Nobu, given its reputation. They moved the tables so that larger parties are mixed in on both sides with the smaller tables...which makes it a more even space. The service is quick and the food is phenomenal. I’ve been to Nobu in both LA and Las Vegas and this Honolulu location doesn’t have the same fun atmosphere. The service was outstanding though. The food was absolutely delicious. The only downfall to the Honolulu location is the service. From the very start, the host was very unfriendly which made us feel as if we had inconvenienced her. Then she tried to sit us at the worst seat in the house next to the restroom. I kindly declined and requested to be seated at a table, she then noticably rolled her eyes and led us to a table that was more pleasing for the occasion. The waiter was kind and knowledgeable of the menu but only checked on us once without me having to flag him down. Nobu has always been one of my favorite restaurants because you not only get a fantastic meal you get an amazing experience and when the service is subpar, it ruins the experience.